Congratulations to Butch Doll! 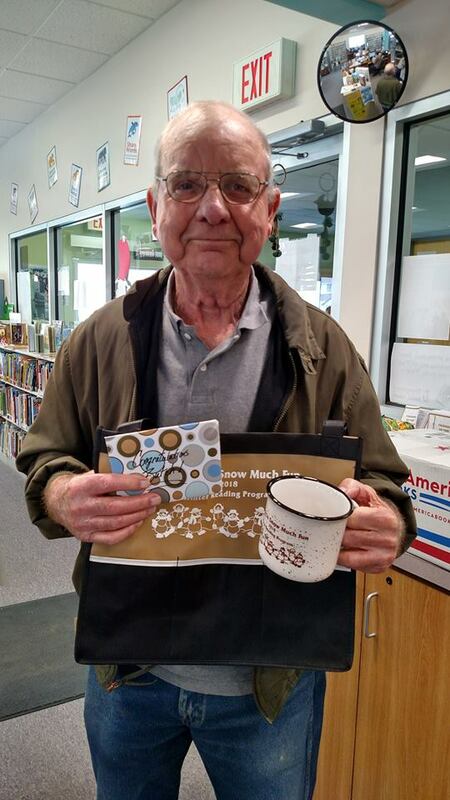 He is our big winner of the Adult Winter Reading Program. He read 50 books from January 1 to March 31. Way to go Butch! I keep thinking someone is going to come along one of these years and challenge him but he keeps taking home the title of King of the AWRP. Is There anyone who can take him on? We can only wait till next year.